Bristol CCG are one of the few remaining NHS commissioning services in England that still fund homeopaths. 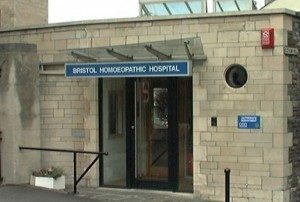 They are considering decommissioning the provisioning of homeopathy, mostly though a private company run by a homeopathic doctor in Bristol. This service is the last sad remnant of what was once a dedicated NHS homeopathy hospital in Bristol. The local NHS is seeking your views on whether public money should be spent on this superstitious form of health belief. You have until tomorrow to respond. What is fascinating though is how homeopaths in the UK are treating this public consultation as if it was a conspiracy against them. The Portland Centre, the private clinic which provides homeopathy services tweeted that ‘they did not know’ about the consultation, despite obviously knowing about it within the consultation period. An email that has been doing the rounds exposes the full paranoia of homeopaths over this. Indeed, if Bristol does stop homeopathy services, it will be pretty much the end of NHS homeopathy in England and Wales. There has been a complete collapse in the funding of such services and the payment of homeopathy prescriptions. The email comes from the Alliance of Registered Homeopaths – a fringe group of homeopaths opposed to any sort of external accountability for what they do – but it looks as if it is being centrally managed across all homeopathy groups by their PR organisation 4Homeopathy. Indeed, tweets from other homeopathy organisations expose a similar line – that this public consultation is somehow being done in secret! Pressurised by an extremist group, Bristol CCG seem to be having a secret consultation on the use of homeopathy. Mr Taylor does not make clear who this ‘extremist group’ is, but the email (reproduced below) describes the source of the homeopaths’ paranoid fixation – the Good Thinking Society. To be fair, the GTS have been active in holding the NHS to account over the waste of public money on sugar pills, but it is something of a stretch to call this charity, who campaign for greater understanding of scientific scepticism in society, an ‘extremist group’. It is as if the homeopaths are setting up their whines for when homeopathy is decommissioned by claiming the consultation ‘was not fair’ and ‘sneaky’, despite their heavy campaign to get as many homeopaths as possible to respond. Their tone is that somehow sceptics have this shadowy control and influence over the NHS, government and media. 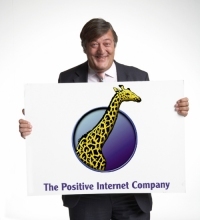 The answer is of course is that sceptics, through the influence of people like Simon Singh, have become very good at lobbying, communication and organisation – much better than homeopaths attempts to use silly cartoon characters to promote childish views. What homeopaths are very good at though is going on mega-whines and complaining like mad when decisions do not go their way. Expect to see that when Bristol abandon, at last, this vestige of early 19th Century magical health belief. Anyway, you have 24 hours to respond if you want to. Anyone can. Have a look at some other responses from the GTS, and British Humanist Society. We’ve just sent all our members an individual email alerting you to a travesty of democracy which has just unfolded. Please read the information below for details, and share this far and wide. Urgent action is needed in order to halt a violation of our basic human rights! Bristol NHS Clinical Commission Group (CCG) don’t want you to know they’re planning to deny patients access to a range of different services. They’ve launched a snap consultation without notifying those most affected, with no publicity, and during the height of the summer holiday season. This seems to be a blatant attempt to sneak in significant changes to healthcare provision, without either patients or clinicians noticing. So who’s behind this NHS ‘stealth’ consultation, which recommends denying vulnerable patients in the Bristol area, health services which work for them? Look no further than the so called ‘Good Thinking Society’ (GTS). This lobbying group, masquerading as a charity, which claims “to encourage curiosity and promote rationale thinking”, has a single highly uncharitable agenda; they want all homeopathy provision decommissioned from the NHS! They couldn’t care less about your rights, or what treatment option works best for you! Furthermore, they are so arrogant they think that it’s acceptable to totally ignore the clinical experience of skilled healthcare professionals across the country. The right for clinicians to prescribe in the best interests of their patients? Forget it! The GTS says ‘no’! More frightening is the fact that the GTS exerts significant influence over our policy makers and the media! Just compare the language used on their website and in their campaigns, to that used in recent NHS consultation; you’ll see it is suspiciously similar. And be forewarned, when the GTS has finished with homeopathy, they’ll move on to other complementary therapies, like herbal medicine, osteopathy, chiropractic, etc., using alternative facts and misleading information, to promote their own distorted agenda. The GTS tail seems to be wagging the NHS dog, which is one outrage too far. Our NHS is funded by us, so we have an absolute right to be offered the treatment options which we know work best for us. It is completely unacceptable to allow a lobbying group to ride rough shod over patient choice. In order to have obtained a GP referral in the first place, the majority of NHS patients benefiting from homeopathy services have already been through the conventional treatments offered. These have either proved unhelpful, or even counter-productive. There is nowhere else, and nothing else, available to these vulnerable patients. Urgent action is now required to stop the erosion of important NHS services and the ability of a lobby group to influence CCGs to slip in consultations by stealth – take part in the consultation now. There’s no time to lose – it finishes on Tuesday 15 August. If you live in the Bristol area, bombard the CCG with emails and letters expressing your alarm at this attempt to sneak through major changes without properly informing service users or providers. If you have friends in the Bristol area, let them know what’s going on and ask them to help spread the wo rd. Wherever you live, make sure this communication goes viral via social media. We have to stop the GTS from eroding our basic human rights, one bit at a time! Visit the Homeopathy Hub (click here http://www.4homeopathy.org/ ) for more information. Proposed ASA “allowed wording” for advertising homeopaths’ services. UK Homeopathy never learns from its mistakes. They can manage to turn almost anything into a PR own goal, so distorted their understanding of reality. Ineffectual at best, but more likely counter productive. Their history is littered with examples. Where have the ARH homeopaths been? Hardly a ‘sneak consultation’ – I responded three weeks ago, and I was late to do so even then. But ‘Karin and Team ARH’ are not ‘paranoid’. (Paranoia is a thought process believed to be heavily influenced by anxiety or fear, often to the point of delusion and irrationality. Paranoid thinking typically includes persecutory, or beliefs of conspiracy concerning a perceived threat towards oneself. Wikipedia). She must be assured that any threat to her practice and belief is not delusional and irrational, the CCG really is out to rid the NHS of expenditure on any modality for which there is no plausibe evidence base. In this case, homeopathic remedies. Homeopaths will be able to counsel and prescribe privately, even if the CCG decides not to expend NHS funds on such a service. It is false to claim that patients will lose such services. By now the Alliance of Registered Homeopaths should have created an appropriate charity to support and fund patients who cannot afford the remedies on their own account. I am sure the Duke of Cornwall would be Patron of such a charity. I have a basic human right for the society in which I live not to use the revenues I provide for fantasy and irrationality. Thank you. Karin Mont and the vast majority of members of the ARH are lay homeopaths and work in the private sector. Restrictions on NHS homeopathy have no direct impact on them and certainly presents no threat to them. NHS homeopathy has more of symbolic value to them. The UK does not recognise homeopathy as medicine but NHS use has been used as a proxy for official endorsement along with the use by the Royal family etc. The point about the charitable funding picking up the costs for patients unable to afford private sector treatment is interesting. Unfortunately, it maybe the case that any such charity would lose its status. Ironically, the CC review of alt med charities is largely due to homeopathic charities funding hubristic projects in Africa etc. Of course, possible to run a non-profit with out charitable status. They really can’t get even the simplest things right. Nope. Nobody has any right, absolute or otherwise, to insist on a specific form of treatment (let alone non-treatment) – that’s the job of doctors and health commissioning bodies. Well I wonder about Science,it has had a rough time lately. I am pleased to say that many highly educated friends and relatives use Homeopathy with success. I really could not give a fig if the healing process is Psychosomatic, the object is relief of pain and suffering. Arnica certainly works for some reason and when I used it successfully in a well known hospital the nurses were almost unanimous in their approval. Sadly Homeopathy appears not to work for those of us already on allopathic medication. That makes sense despite the denials of Doctors who have been allopathic and converted. Well I recognise all the words in your post, but I am wondering if you could rearrange them into a coherent thought? There sure are a lot of goddamn idiots desperately clinging to being scammed. Science is fine, acceptance of science is what’s been having a hard time. Pity the poor homeopaths who cannot correctly identify the source of the conspiracy against them, which, inconveniently for them, is reality itself. An accusation has been made that the Good Thinking Society is an ‘extremist group’ – even though this is absurd nonsense, in the interests of openness and democracy the GTS should offer themselves to be investigated by the Police. The Charity Commission should also be asked for a formal view of GTS’s status as a charity and to make comment on the suitability of the work they do. ….. and finally, it now appears that in order to be fair we must inform all of the quack organisations of this type of consultation and do it in a formal manner so that we can challenge the idea that it is being done by stealth. They are easy to defeat, they are after all fools……………. The reason CCGs are paying more attention to homeopathic prescriptions is that if they are classified as “specials” then community pharmacies can claim a £20 specials fee and also companies that have a specials licence can screw the NHS. They pay the homeopathic pharmacies buttons for the sugar pills and then load on an extreme mark up before sending to the pharmacies.Homeopathy is small beer compared to the cost of conventional specials eg. £200 for 50g of cream that a community pharmacist used to make up for £2.50 until health and safety stopped extemp dispensing. But then again Andy, Simon, David et al. some of us understand both conventional and natural medicine. Yes homeopathy is bull but so are a lot are a lot of conventional drugs. Enjoying the fight between Singh and Taleb at the moment. Nassim certainly “owned” Mary Beard. I though the Medicines Act 1968 exemptions still applied? I too have been wondering, although from a perspective opposite to those of the homeopaths, whether there was a conspiracy involved in the holding of a stealth consultation on this matter. I am registered with a GP practice within the Bristol CCG area but knew nothing of the consultation until I read it on this website. Fortunately, I just beat the deadline to suggest the NHS should better spend its money on evidence based medicine. It seemed like a stealth consultation to me. All quite cheeky of the GTS but I am not sure if these tactics worked. All it did was give ammunition for homeopaths to respond when it was all found out. I doubt if many Homeopaths would have responsed if it had been a well publicised consultation from day one. Homeopaths are disorganised until they have an emotive reason to be organised. UK Homeopathic Regulations may wish to consider whether it is only Homeopaths who score own goals. It seemed like a stealth consultation to me. All quite cheeky of the GTS but I am not sure if these tactics worked. What are you on about Alan? It is clear that without the activities of GTS there would have been no consultation. I give them credit for that. It was the CCGs who chose to hold the consultation and in the manner they did (‘stealth’ or otherwise), so it’s not clear to me what you think was ‘All quite cheeky of the GTS’. I wouldn’t want to be anyone at the trust responsible for this consultation. It was daft of the GTS to give ammunition to homeopaths for a consultation few would otherwise have been interested in. No trusts are involved: this is a consultation by three Clinical Commissioning Groups. But what ‘ammunition’ did the GTS give to homeopaths? Now not only are there because of the nature of this consultation countless more responses from homeopaths than there otherwise would have been. There also are real grounds for complaint against the CCGs and what should have been an easy consulatation for the GTS may be under threat. All the GTS had to do was blog and tweet as usual to notify their supporters. Homeopaths would have picked it up but with no real ammunition to get many to respond. The GTS kindly gave them that ammunition by not thinking. Rather ironic really. If supporters of the Portland Centre believe that the consultation was not carried out correctly, they can apply for a judicial review. Assuming the application is successful, if the review finds that, say, the consultation was not properly communicated and/or the consultation period was too short, it can order that the consultation is re-run. Whilst there are other grounds on which the CCGs’ decision can be challenged, none would be likely to suceed. A judicial review does not have the power to overturn a decision that is made in accordance with established process and guidance. At the very most, supporters would be able to have the consultation re-run. Given the current financial climate in the NHS, the CCGs are extremely unlikely to change their minds. In situations like this, public consultation is merely jumping through legal hoops. The decision has de facto already been made. In theory, the communication and length of public consultation is determined by the impact of change on the general population. As the number of patients using the Portland is low, the impact of withdrawing the service is trivial and alternative NHS provision exists (ie real medicine), it is difficult to argue that a widely communicated and prolonged consultation would be justified. It also has be to remember the value of the contract is very low. In some case CCGs, Trusts etc have been known to let some services whither away to almost nothing because the cost of public consultation is potentially greater than the immediate savings. One thing that supporters need to bear in mind is that judicial reviews are not cheap. If the complainants fail in their application, they will have costs awarded against them. £30,000 is cited by some as being at the low end. Whilst it may be possible to obtain legal aid, it’s not an easy process and the eligibility criteria are much higher than they used to be. Implying collusion between the CCGs and the GTS is a somewhat different matter. If supporters believe that this taken place, a request can be made to the CCGs under the Freedom of Information Act for copies of correspondence between the various parties. Something that is abundantly clear is that supporters of homeopathy are ineffective at campaigning. Often they are too busy with their paranoia to even contemplate practical action. Do you know what’s funny? Science exists whether you believe in it or not. The science of homeopathy is a curative means, which is not limited to or by the number of sceptics. Gravity pulls even when you write a whole article about how stupid that sounds. Science. Homeopathy. Biology. Chemistry. Im sure you can find some great books that explain Avogadro’s number. By the way homeopathy doesn’t end its commercials with ‘side effects may include……stroke, suicide, internal bleeding, and death. So ask your doctor about how this prescription could be right for you’. Indeed, the ‘science’ of homeopathy is not limited by the number of sceptics but but its complete lack of coherent theory and evidence base. To which point does evidence not stand on scientific basis. Does it only work when understood? When someone is treated homeopathically, disease subsided, and health is restored, you’re telling me that it didn’t happen because you don’t know how? I understand you find the theory of homeopathy incoherent. I repeat, science exists whether you/we comprehend it or not. It is our pleasure to learn why the apple falls from the tree, and lightening strikes. The issue isn’t homeopathic theory. Is that you have yet to understand the science behind it. I assure you there is much to learn but you’ll first need a dose of common sense. Look around. People are getting sick in unimaginable ways. Mentally emotionally and physically. And here you are trying to cure them with poison. Antibiotics, blood thinners, steroids, yes- can help save lives and reduce suffering and illness. However the immense overprescribing of pharmaceutical medications and vaccine agendas, is so completely irresponsible and reckless. It seems ‘because they said so’ is the scientific proof from which you stand by in regards to medicine in today’s world. If you truly wanted to understand how homeopathy works, you could. But you dont really want to therefor you write articles full of hate spreading half truths and empty accusations against those who have the power to reduce suffering in today’s very sick world. Bottom line, homeopathy absolutely heals, and I encourage you to learn how. You make the same basic error as every homeopath. You believe your fallible and subjective interpretations of your own experience somehow trump controlled evidence. If someone gets better after a treatment it does not mean the treatment caused that improvement. Your failure to acknowledge this most fundamental error means you awill always be trapped inside the intellectual black hole of your ignorance. When you think of chemical properties, you are thinking of allopathic medication and Newtonian physics. Homeopathy is far more a kin to quantum physics. The properties that are in remedies cannot be measured chemically at this point, although different potencies of homeopathic medicines can be distinguished according to the research being done by Dr. Luc Montagnier, who won the Nobel Prize in Physiology and Medicine for discovering the AIDS virus in 2008. It seems ‘because they said so’ is the scientific proof from which you stand by. Funny, I seem to have read that somewhere else. I studied and learned the science of homeopathy long before practicing. You’re insistence upon the erred fundamentals, unfortunately for you, does not disrupt the science of homeopathy from physiologically reacting to the chemical properties of prepared medicines. Simple as that. There is no error. OK then Sally, let’s see if you understand what you call the ‘science of homeopathy’. Can you tell us what chemical properties are important in a prepared homeopathy remedy and what physiological pathways they interact with? And while you’re at it, Sally, give us your best example of a well-conducted objective trial. Don’t forget that homeopaths routinely claim dramatic cures for all sorts of diseases. To an outside observer it’s all rather pathetic that you have to scrabble about in the statistical margins once the scope for bias and cheating are removed. This in itself should be enough to cause you all to give it up. There is no science of homeopathy. Homeopathy is a form of vitalism and is better understood as part of Occult and esoteric traditions. Or just as a marketing scam. Your faith is touching, Sally.